What Are Fibromas and How Are They Treated? While fibromas are painful, they are generally not serious and easy to treat. When discussing fibromas, the first and most important thing to keep in mind is that they’re usually benign. Regardless of what they look like or how much pain they might cause, they are in essence relatively minor. 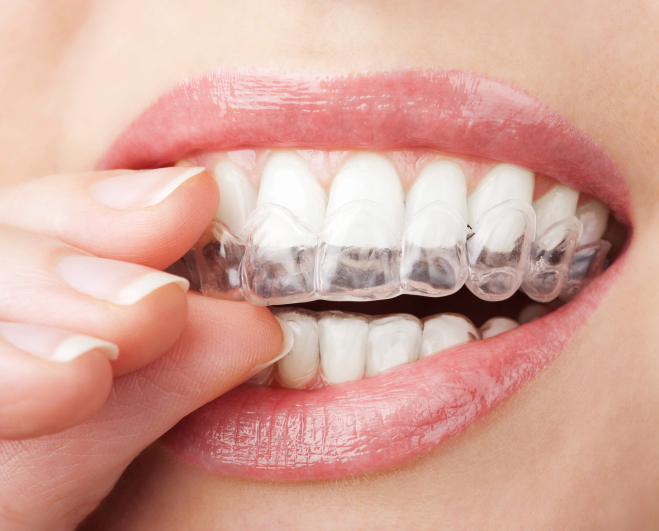 Invisalign braces can help get you the smile you want while saving you from the embarrassment metal braces can cause! 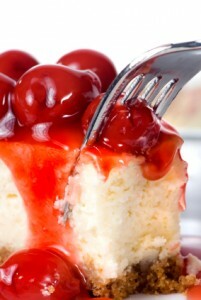 What Are “Hidden” Sugars and How Can They Hurt Your Teeth? You know this is horrible for your teeth, but so are many other foods and drinks that you think are harmless! Myths arise concerning just about everything under the sun. Dentistry and oral hygiene is no different. You should NEVER believe everything you hear. Instead, get the facts from a trusted source, like your Catonsville dentist! We’ve got a few different myths for you that we’ve taken the time to debunk so you can get a better idea of what causes your oral hygiene to decline, what to avoid, and how to improve your oral hygiene. This is false. Most people think that since they’re teeth become translucent if they bleach too much that it means they’re teeth are unhealthy. It’s actually just a color change. Bleaching too much CAN be bad for your gums, but it’s not actually going to hurt your teeth. The important thing to remember when you’re getting your teeth whitened is not to do it more than recommended and to always have your teeth professionally whitened. Your dentist will make sure that you’re getting the right treatment for you when you need it. Do not try this at home. Most pain relievers are acidic and can actually give you cavities or make the pain worse. Swallowing a pain reliever will help with a toothache just fine. You should also make a point to see your dentist when you develop a toothache, as you may need a filling or have undiagnosed oral health issues. Not necessarily. Your teeth won’t always be sensitive when you have a cavity either. The two do not go hand in hand. You may just have sensitive teeth and need to find a toothpaste or mouthwash that will help with this problem. You should see your Catonsville dentist first, though, to rule out decay. Another issue is that many people think that if they don’t have pain, they don’t have a cavity. Cavities only start to cause pain in the mouth when they get really bad. See your dentist every 6 months for a checkup anyway. Believe it or not, this works the other way around. The only way to get your gums healthy enough to stop bleeding is to keep brushing and flossing to remove the bacteria around them. You need to make sure that you’re brushing and flossing properly and gently to avoid further harming them, though. Take good care of your gums to avoid developing gingivitis. Oral health is important to your overall health and knowing the difference between truth and myth in the dental world is important! Remember to brush and floss regularly to avoid cavities and visit your dentist at least twice per year for an annual cleaning and checkup. If you have any questions about dentistry myths or wish to schedule an appointment, please contact Leikin & Baylin Dental Care of Catonsville, Maryland by calling 410-747-1115 or visit CatonsvilleDentalCare.com. You can also follow us on Facebook, Twitter, and Google+. 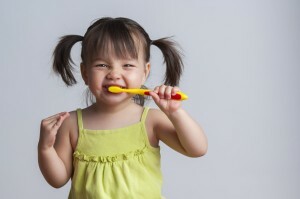 Why a Dentist in Pediatric Dentistry? There are many decisions to be made once you have children in regards to their well-being. Among all of these decisions, choosing a dentist for your child is among the top in importance. You want your children to grow up having a happy and healthy smile, so starting annual trips to the dentist can’t begin soon enough. Once your child has reached a year, you should start considering a dentist visit. You may think that a dentist doesn’t need to specialize with children, that it’s just their teeth. But taking your child to a dentist that has experience with pediatric dentistry can help you child’s oral health for years to come. When you take your child to your Catonsville Family Dentist, you can rest easy knowing that our dentists will make the experience pleasant and welcoming for your child. An adult dentist will be unaware of how a child might perceive the visit and scare your child. Fear of the dentist at a young age will stop your child from wanting to continue visits and their oral health might suffer from it. At Leikin and Baylin, we make sure to be aware of how a child will perceive us. We will choose our words carefully to make sure your child isn’t scared or intimidated. Let us explain the details to your child, we will know phrases to use so that your child has an understanding of what is happening, but doesn’t think they are in harm’s way. We want your child to feel comfortable and know that going to the dentist is a good thing and not something that should be avoided. Dr. Baylin also specializes in magic tricks, so make sure your child asks to see them. Going to the dentist doesn’t have to be intimidating, so visit your Catonsville Family Dentist where children’s dentistry is one of our specialties. To make an appointment for your child, call us at (410)-747-1115 today. If you have any questions about our procedures and services, fill out our contact form. Follow us today on Facebook, Twitter, and Google+. Dental crowns come in many different materials. The one that is best for you depends on what dental problem you are fixing. Stainless Steel Dental Crown – a stainless steel crown is often used on permanent teeth as a temporary preventative measure. A stainless steel crown is placed on your tooth while a permanent crown is made from a different material. A stainless steel crown is cost effective and doesn’t require countless dental visits to keep it in place. Metal Dental Crown – metals used include gold, palladium, nickel or chromium. With a metal crown, less tooth structure needs to be removed. In terms of durability, a metal crown is the strongest and can withstand biting and chewing. In addition, metal crowns rarely chip or break. The deal breaker for this type of crown is the color, they work best for molars and other out of sight teeth. Porcelain-fused-to-metal Dental Crowns – this type of dental crown can be colored to match with your existing teeth for a more natural look. However, sometimes the original metal can show through the porcelain of the dental crown. All-resin Dental Crown – this is a cheaper type of dental crown. The drawback is that it can wear down over time and is prone to fractures. At Leikin and Baylin Dental Care in Catonsville, Maryland, our team of caring health professionals provides unparalleled dental excellence. We treat our patients as members of the family. And since most procedures are performed in our office, our patients rarely need to leave our careful eye. If you have any questions about Dental Crowns or wish to schedule an appointment, please contact Leikin & Baylin Dental Care by calling 410-747-1115 or visit CatonsvilleDentalCare.com. You can also follow us on Facebook, Twitter, and Google+. A dental crown is a cap that is placed over a tooth in order to restore the size, shape, size and strength of the original tooth, as well as improve its appearance. When you have a crown cemented in place by your Catonsville dentist, you can no longer see the damaged, original tooth; the natural-looking crown takes its place. When would you need to have a dental crown put on? There are a variety of dental health problems that would have a dental crown as their solution. So what exactly can a dental crown help with? It can prevent a weakened or broken tooth from further breakage. It can restore an unhealthy tooth. It can support a poorly-structured tooth. It can secure a dental bridge. It can make your teeth appear more uniform in size and color. It can cover up a dental implant. 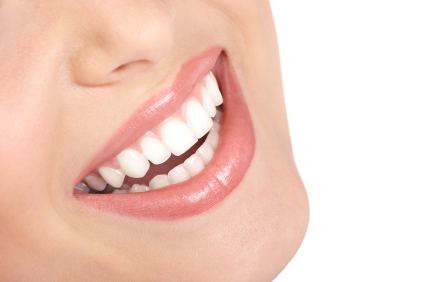 It can improve the overall aesthetic appeal of your smile. When the gum tissue begins to pull away from the tooth, exposing more of each tooth or even the root, this is what is referred to as receding gums. And while this may not seem like the end of the world, gum recession is actually a very serious condition and one of the first warning signs of gum disease. And if left untreated, the supporting tissue and bone structures of the teeth can be severely damaged, which could result in tooth loss. What Causes Gums to Recede? Periodontal Disease: This bacterial gum infection destroys gum tissue and the supporting bone that holds teeth in their place. Brushing your Teeth: Wait, what? Yup, sometimes brushing your teeth can be a bad thing…but only if you are doing it improperly. If you brush your teeth too vigorously or improperly, it can actually wear away the tooth enamel and cause your gums to recede. Genes: Studies show that 30% of the population may be predisposed to gum disease. Hormonal Changes: Fluctuations in one’s hormones can make the gums increasingly sensitive and more vulnerable to gum recession. Smoking: Tobacco products lead to a buildup of plaque, which can cause gum recession. Grinding your Teeth: This can put a lot of force on the teeth, causing the gums to recede. Misaligned Teeth: Similar to grinding your teeth, when teeth do not properly align, excess pressure can be placed on the gums and bones, resulting in receding gums. Poor Oral Hygiene: The best way to ensure that you are doing everything you can to keep your teeth healthy is to visit the dentist regularly. We recommend every 6 months. How are Receding Gums Treated? Mild Gum Recession: If not too severe, your dentist may be able to treat your receding gums by deep cleaning the affected area. Sometimes, antibiotics are used in conjunction with deep cleaning to treat any remaining bacteria. Severe Gum Recession: If too severe for deep cleaning to have any effect, gum surgery may be required. How can One Prevent Receding Gums? Take good care of your teeth and mouth. Pay close attention to your oral health and changes in your mouth. If you have any questions about Receding Gums, or wish to schedule an appointment, please contact Leikin & Baylin Dental Care of Catonsville, Maryland by calling 410-747-1115 or visit CatonsvilleDentalCare.com. Dr. Leikin and Dr. Baylin of Leikin & Baylin Dental Care of Catonsville offer high quality, comprehensive dental care. Cut out contributing factors: Dairy products, sugar products, onions, garlic, coffee, alcohol, and tobacco can all leave your breath smelling like a soggy gym sock. Food products can leave material that feed the bacteria that cause bad breath. Alcohol dries out your mouth, reducing saliva flow and creating opportunities for aspiring breath killers. Tobacco not only can cause cancer, but it can also allow bacteria to fester in your mouth. Brush your teeth: It is simple, really, but the biggest thing you can do to fight bad breath is to brush your teeth. Not only does this help fight cavities, (which also create safe havens for bacteria) but taking a generous helping of toothpaste to your mouth will immediately (but temporarily) freshen your breath! While you have your toothbrush in there though, don’t forget to brush your tongue. You’d be surprised at the amount of bacteria your tongue can hold. Be prepared: Sugar-free gum can be a lifesaver whether you’re hoping to seal the deal with the person of your affection or giving an important presentation at work. Regularly drinking water can also help wash away bacteria and food particles. Natural remedies, such as cloves, anise, cardamom, peppermint, or coriander can help as well. A quick application of whatever remedy you choose can temporarily stave off even the worst of bad breath. Visit a doctor: Certain health problems, including diabetes, chronic bronchitis, gastrointestinal issues, and sinus infections can send your breath plunging to a level of stench you have never experienced before. If normal remedies do not adequately address halitosis, you may want to consider visiting a healthcare professional. If you decide you would like to see a dentist about your breath, please do not hesitate to contact Leikin & Baylin Dental Care. We are a team of highly trained Catonsville dentists who will be more than happy to sit down with you about any of your dental needs. Whether the cause is tartar, cavities, or gum disease, we will help you identify it, treat it, and eliminate it. If you have any questions about our blog, “Tips for Dealing With Bad Breath” or wish to schedule an appointment, please contact Leikin & Baylin Dental Care by calling 410-747-1115 or visit CatonsvilleDentalCare.com. You can also follow us on Facebook, Twitter, and Google+. There are multiple signs that a tooth may need a root canal. To understand why you may need a root canal, first you need to understand the characteristics of your teeth. Teeth are “tough” on the outside, but inside they have a soft core called a nerve chamber. This inner core is made up of nerve tissue and blood vessels that feed the nerve. If a nerve degenerates completely the tissues die and gangrene develops. The nerve chamber may also become infected in some cases. A tooth needs a root canal when the nerve of the tooth becomes infected. 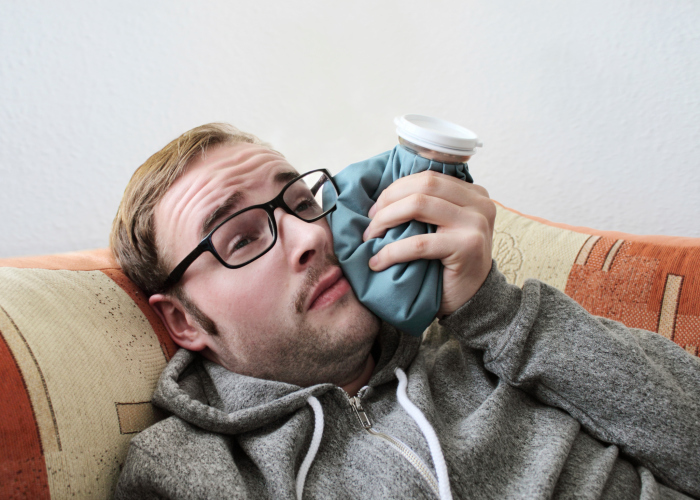 A tooth may be infected if it is sensitive to hot, cold, or chewing, causes pain or swelling, keeps you awake at night, creates a bad taste in your mouth, or you may have no symptoms at all. When a root canal is done, your symptoms will dissipate because the nerve will have been removed from the tooth. If you notice toothache pain – A lot of people who need a root canal notice a shooting pain in their teeth first. This is usually exacerbated by the chewing of food. Sensitive to hot and cold – If you’re ultra sensitive to both hot and cold liquids or foods, this is another sign that you may need a root canal. Your teeth may feel extremely irritated even after the food item or liquid is not longer on your teeth. Swollen Gums – If the gums around your infected tooth are swollen or that they feel tender when touched, this is yet another sign that you may need a root canal. Swollen gums can be painful and can cause all kinds of health problems and it is better if you deal with it now than waiting until later. Catonsville Dental Care makes visiting the Dentist enjoyable! If you have any questions about Root Canals or wish to schedule an appointment, please contact Leikin & Baylin Dental Care of Catonsville, Maryland by calling 410-747-1115 or visit CatonsvilleDentalCare.com. You can also follow us on Facebook, Twitter, and Google+. Don’t Forget: Leikin & Baylin Dental Care will donate $1 to the Catonsville Celebrations Committee for every new “Like” our Facebook page receives this month. So what are you waiting for! ?